Will your payments be reported to the major credit bureaus? Take advantage of the fact that some prepaid credit cards today can be used as tools for building credit and rebuilding bad credit. However, not all issuers of prepaid cards offer a “credit builder program”. If you don’t have any credit or you want to use a debit card to build or rebuild your credit. Make sure it comes with a credit builder program. Be prepaid to pay a few for this service. And read the fine print. Some of them will report to all 3 credit bureaus while some will only report to 1 or 2. Does the prepaid card offer flexible payment options and online banking access? It is also a good idea to look for a prepaid debit card that enables you to access your account online at any time so you can keep track of your balance and spending. Will you be charged reloading fees? A prepaid debit card is reloadable. You can only use the card for payment as long as there is an available balance in your account. When the balance runs out, the prepaid cardholder must “reload” or deposit new funds to be able to use the card for new transactions. You can reload your prepaid credit card from a card reloading station at various locations. However, there is usually a fee for each reloading service. Another way to add funds to your prepaid account is by making a direct deposit. If your prepaid credit card account is linked to your personal savings or checking account, you will be able to transfer funds at no extra charge. Is your prepaid card be accepted everywhere? Prepaid debit cards that bear the Visa and MasterCard logos are a popular choice since they are accepted at millions of locations worldwide. Make sure that your chosen prepaid credit card is recognized especially if you plan to use it on overseas. How much do you need to pay each month to keep your card active? How much will you need to pay each month to keep your account active? Monthly fees can range anywhere from $3 to $10 or higher. If you don’t choose carefully, the monthly maintenance fees can prove to be a burden especially if you want a prepaid debit card with rewards. Aside from the monthly fee, some prepaid cards also charge an annual fee, and inactivity fee for cardholders who do not use the card regularly. 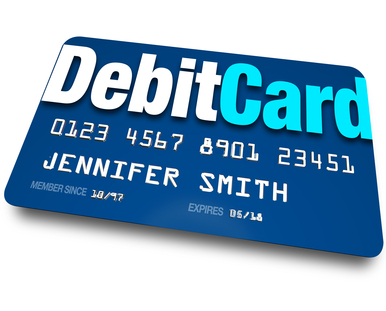 Some debit card issuers will waive certain fees if your card is tied to your paycheck. Do you want a prepaid debit card with rewards? Some prepaid debit cards offer various types of rewards programs. Before opting for a prepaid reward credit card, read and understand the fine print to make sure that the fees are minimal and that the reward system fits with your spending style. Tara Tiemann is the credit specialist for Go-Prepaid. Which is a resource site for people who want to live debt free! If you are on a budget, using a prepaid debit cards and secured credit card can save you big money! 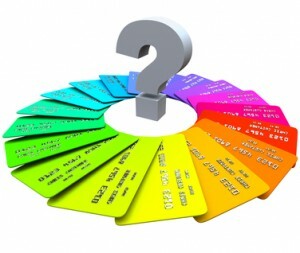 Which Prepaid Debit Card Is Best?